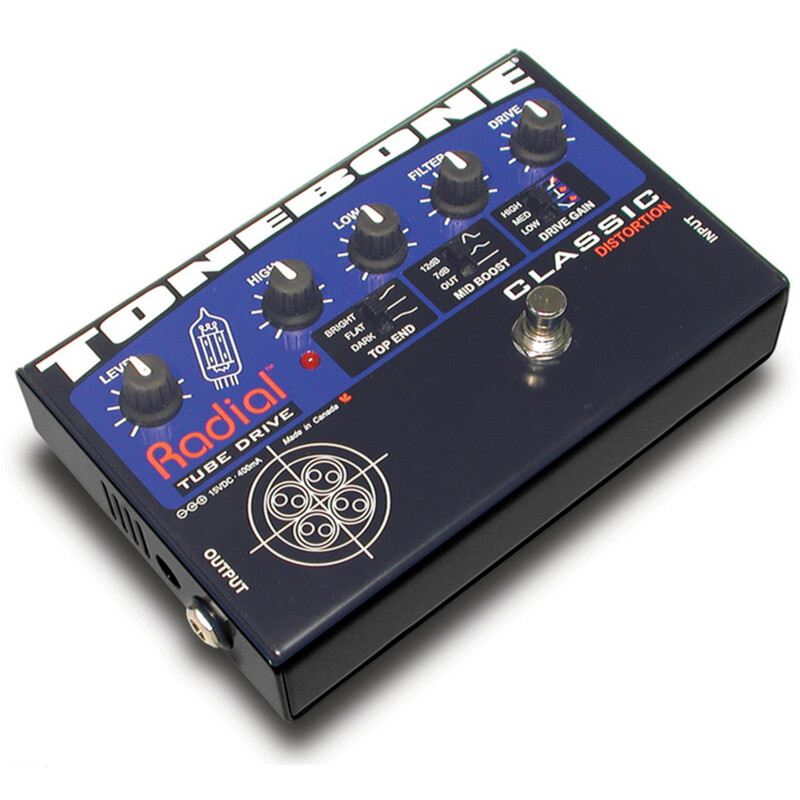 The Radial Tonebone Classic is the most dynamic and responsive distortion pedal ever. The Tonebone Classic is modeled after guitar tones from the 60s, 70s and 80s and takes your tone the slight edge and grit of an overdriven vintage combo right up to the power chord and screaming solo tones that make tube amplifiers the only choice for serious tone players. The Tonebone Classic is unique in that it reacts like a real amplifi er; it is truly dynamic. Play soft and the Classic cleans up. Dig into the note and it sings like a vintage amp full-out. You can hear every string individually and when you turn down your guitar, it magically cleans up just like a tube amp. And tone it has! Every knob and switch is optimized to give you tonal flexibility. The EQ is a powerful and effective tone-shaper. 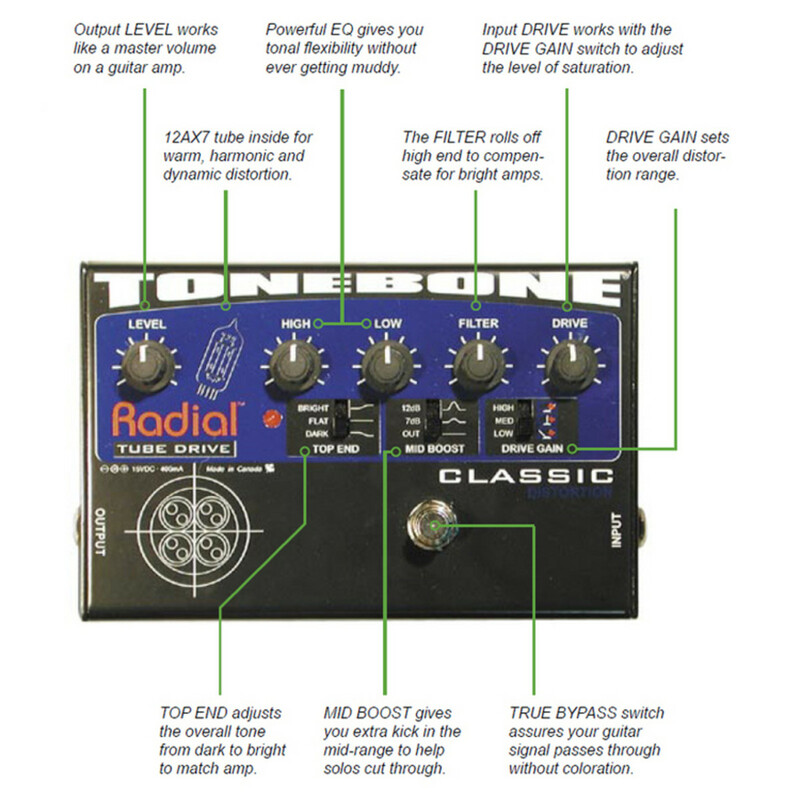 The mid-boost lets your guitar cut through the on-stage din, and sustain longer without ever sounding muddy. The top end response can be brighter or darker to match your amp and speakers. 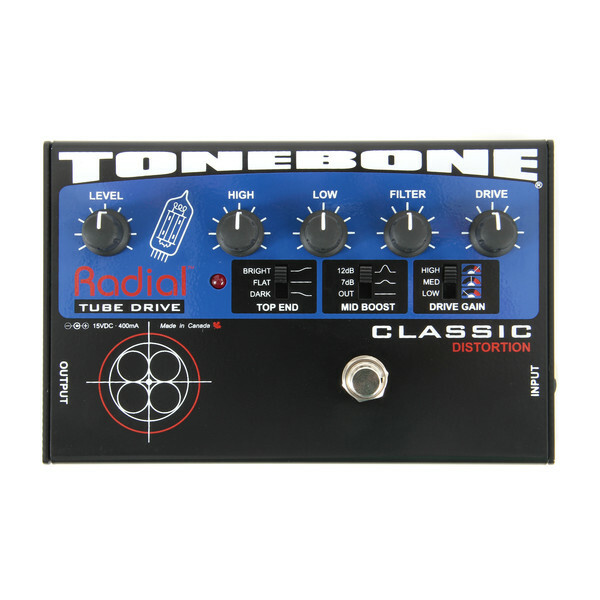 With a 12AX7 tube stage, flexible tone controls and reactive dynamics, the Radial Tonebone Classic is considered by many to be the finest distortion pedal ever made. Following the vision set by Leo Fender in the 1950?s, the Classic is based on vintage overdrive sounds that started in the '60s and '70s and today remain some of the most sought after tones. With three drive settings, variable drive control and powerful EQ, the Classic lets you dial in the slight overdrive to high-gain saturation and everything in between.